Click on the links below to view Rev. Alex’s invitation to the meeting, the agenda and related materials to be reviewed in advance. 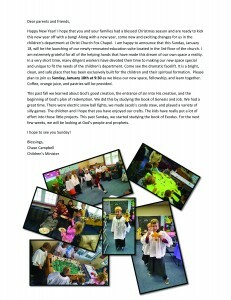 Jan. 18: Renovated Children’s Area Opened! New Sermon Series Begins on January 10! 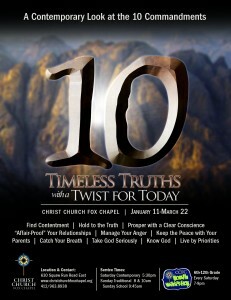 Our new series “10: Timeless Truths with a Twist for Today” explores the 10 Commandments — in today’s terms! Click on the link below for more information!